Despite being the country’s most valuable listed company whose subsidiaries are leading players in the banking, property and retailing industries in the Philippines, SM Investments Corp. (SMIC) is not immune from worries about its future prospects. The group was founded by Henry Sy Sr., the country’s richest person. 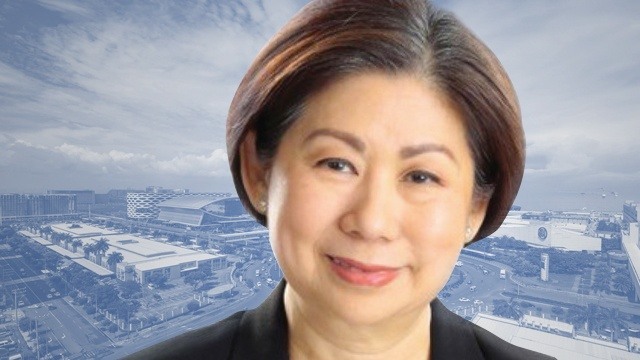 In an interview for the newly released Management Association of the Philippines (MAP) and PwC 2017 CEO Survey Report, SMIC Vice Chairperson and BDO Unibank Chairperson Teresita Sy-Coson said that obsolescence and how to prevent it was top of mind when asked what would be her top concern for the SM Group. Worries about the impact of e-commerce on retailing has prompted the group to beef up its investments in online stores as well as in logistics. In April this year, the SMIC acquired more than a third of publicly listed 2GO Group, the country’s biggest integrated supply chain company. 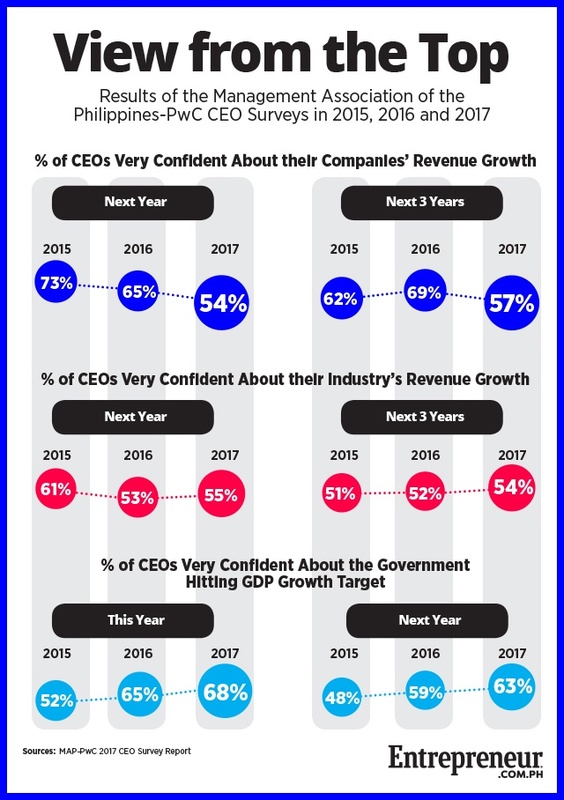 The report details the findings from MAP and PwC’s survey of 120 chief executives of companies operating in the Philippines as well as one-on-one interviews with several CEOs of the country’s biggest companies as well as fast-growing startups. Reflecting Sy-Coson’s concerns about being rendered obsolete by digital disruption, 71 percent of the CEOs surveyed said they want to strengthen innovation and digital and technological capabilities in their organizations. Similarly, 59 percent said they think that technology will have a significant impact on their respective industries in the next five years. The survey also found that 75 percent of CEOs said they are likely to enter into a strategic alliance or partnership with another company in the next 12 months. More than half (52 percent) said they are likely to enter new industries while 45 percent said they are looking to compete in new countries, especially in the ASEAN region. Among the top countries that respondents are looking at are: Vietnam (20 percent), Indonesia (19 percent), Malaysia (16 percent), Singapore (14 percent), Myanmar (11 percent) and Thailand (11 percent). At the same time, she wants all of SM Group’s partners to be ambitious and plan for bigger things. “Scale is the name of the game. Things have to scale up because they are becoming more regional and more global. We cannot talk just about being local,” said Sy-Coson. This article was corrected on November 27, 2017 to clarify Teresita T. Sy-Coson's designation at BDO Unibank. The original version of the article mistakenly stated she is BDO Unibank's Executive Director. We deeply regret the error.